Your reservation starts with a FREE training course. We are the only outfitter to offer the safety course for free and it is because we want everybody to have an opportunity to take the safety course. If you are unable to demonstrate a solid T rescue at the end of the course we can not rent to you but you aren’t out any money because the safety course is free and we will refund the cost of your rental. 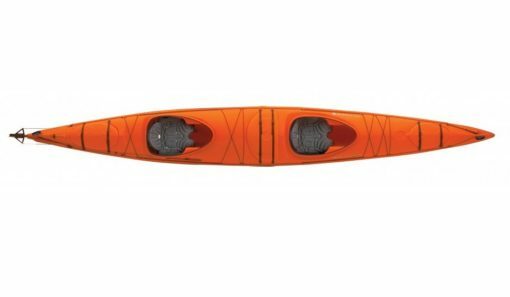 We are not interested in adding hidden fees in to your rental package, we are only concerned with making sure that you have plenty of time with an instructor that you are able to demonstrate the necessary sea kayak skills before we send you on to Lake Superior in a sea kayak. 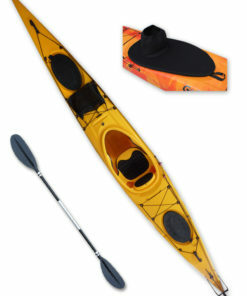 Price includes a tandem kayak rental for 2 people (1-boat) + paddle, life jacket, spray skirt, paddle float, pump. 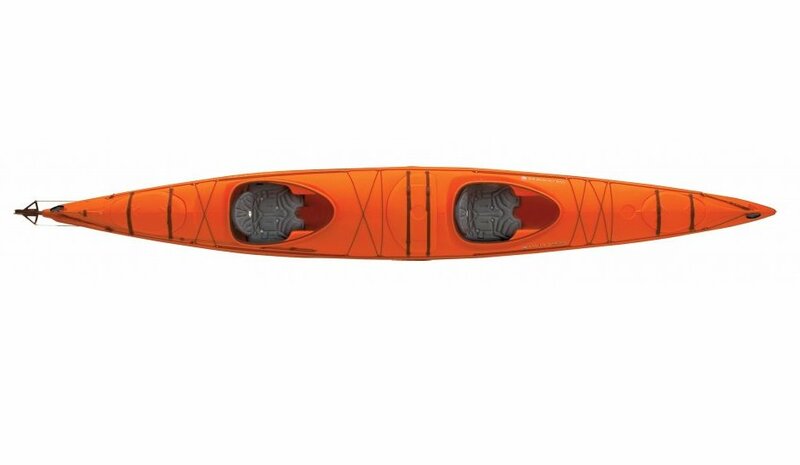 The price does not include a wet suit, vhf radio, dry bags or extra paddle. Wetsuits and VHF radios are needed to rent kayaks from us and if you don’t have your own you can add wetsuit ($10/ day) and VHF radio ($15/ day). Each person will need a wetsuit only 1 vhf radio per group is required. If you have your own VHF radio, satellite phone or satellite messenger you do not have to rent a VHF radio from us. If your overnight rental is less than 3 days, delivery to your equipment pickup location is an extra charge. The one-way fees are ( Meyers Beach: $40, Little Sand Bay: $50, Red Cliff: FREE ). Any overnight rental that is 3 days or more will receive FREE delivery and pick up to all the locations. Groups of 12 or more: 10% Off. Use Coupon Code “Rental10” at chekcout. request that you arrive 30 minutes early for your course and test. the delivery location you select here. 4. Add the delivery charge that corresponds to your selected equipment pickup location and any extras that you’ll need for your trip. 6. Fill out all information on the form (including your predicted itinerary) and click book now to finish your payment. Payment in full confirms your reservation. All rental riders must take our FREE Sea Kayak Safety Training Course AND pass the Sea Kayak Rental Safety Test. You must bring your own fully charged cell phone. However, reception is bad up here. If your day rental itinerary includes traveling to the exterior Islands, a VHF radio is required. Multi-day rentals must rent from us (or bring their own ) handheld waterproof VHF radio (1 per group). pass, you must demonstrate a T-rescue. The duration of the course is 1 to 2 hours depending on group size. and before taking the course. paddle in 3 foot waves). If you are planning an overnight rental you can only launch at Little Sand Bay, Bayfield or Red Cliff (Free Delivery to Red Cliff), as these are the only places to park a car overnight. We only allow expert paddlers to plan rental itineraries that travel to Devil’s, South Twin, Cat, Outer and Michigan Island. North Twin and Eagle Island are off limits due to NPS restrictions.